“No, Mayor de Blasio did not create this problem, but he can be the mayor who solves it. He can take a step towards building his own legacy by being the mayor who actually faced the problem head-on and attempted to cure it by using something more than a Band-Aid. This marked the beginning of what would ultimately become our successful, Pave, Baby, Pave initiative. Within months after the publication and much lobbying both privately and publicly, Mayor de Blasio announced $242.1 million to do just what we asked – exceed the thousand lane-mile mark in a meaningful way. By now we have all seen the fruits of Pave, Baby, Pave, with more asphalt activity in this last year than we have seen in recent memory. This quest for additional resources for resurfacing began back in 2008. By then, about a decade of disinvestment in our roads had taken its toll. You see, paving a thousand lane-miles citywide per year is considered the minimum necessary to keep our city’s roads in a state of good repair. When it doesn’t happen, our roads literally deteriorate before our eyes. 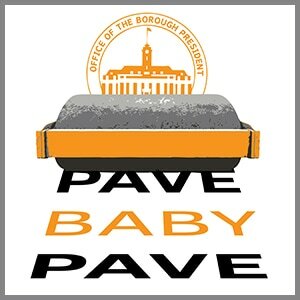 Enter Pave, Baby, Pave and Mayor de Blasio. The Mayor even heard us once again extended “Pave, Baby, Pave” into Fiscal Year 2018. 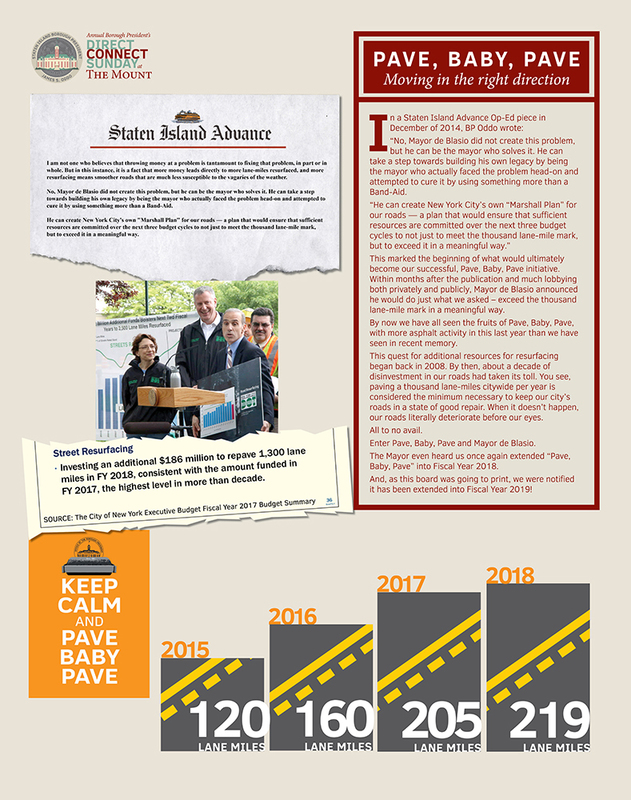 With the city’s unprecedented investment in resurfacing our city’s roads, which we called the “Pave, Baby, Pave” campaign, it became clear that the one factor that could derail it is street cuts. “Street cuts” is the name we give to the patch job done in the wake of underground work performed by developers, plumbing contractors, gas and electric utilities, cable operators and other entities that need to work below our streets. Until the mid-2000’s, the street cut issue was the main factor contributing to our sub-standard roads. Pave, Baby, Pave gave us some very much-needed relief, and still continues to do so as we finally make headway on our road conditions. But, even though streets are being resurfaced at a rate never before seen, we are also seeing new cuts being made into those streets, which if incorrectly repaired will lead to their degradation. Section 2-11(f)(1): (f) Excavations and Street Openings in Protected Streets. No street opening activity shall be allowed, except for emergency work or as authorized by the Commissioner, in a protected street for a period of five years from the completion of the street improvement. The term "protected street" means a street which has been resurfaced or reconstructed within five years prior to the date of application for a permit. Like so many other rules, this one is broken routinely. There are reasonable exceptions, of course, as in the case of unforeseeable emergencies, but the fear is that more situations are labeled “emergencies” than should be. BP Oddo and Councilman Matteo have announced a legislative package to better protect our roads. 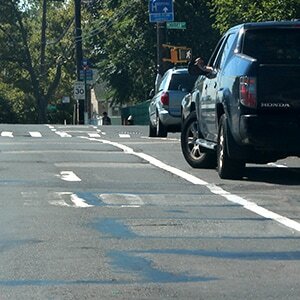 It includes a notification requirement so that we don’t learn about plans to cut into protected streets after the fact; institute a new curb-to-curb standard so the best possible fix is made; and also require curb-to-curb resurfacing in those instances on all streets – protected an unprotected – where multiple buildings are constructed next to each other and multiple cuts made. Borough President Oddo recognizes the value of a preserved and contiguous Greenbelt Network. Reducing congestion that causes environmental and traffic concerns. benefits of the Back Roads & Open Spaces Proposal. NYSDOT is now coordinating with the NYS Department of Environmental Conservation (NYSDEC) and The NYC Department of Transportation (NYCDOT). Borough President Oddo looks forward to further shaping his proposal with NYC Parks Commissioner Silver after better understanding all underlying design constraints. 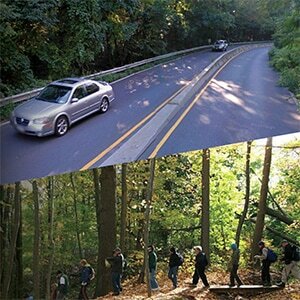 Provides safer connection between the LaTourette multi-purpose path and other facilities serving the Greenbelt. In addition to State and City agencies, Borough President Oddo has met with constituents, civic associations, environmental groups, hiking groups and other stakeholders. The Borough President is confident that the Back Roads & Open Spaces Proposal will be inclusive, well-supported and a solid framework that will ultimately become a key piece to the “live, work and play” philosophy that he believes can be incorporated into all neighborhood improvement initiatives. 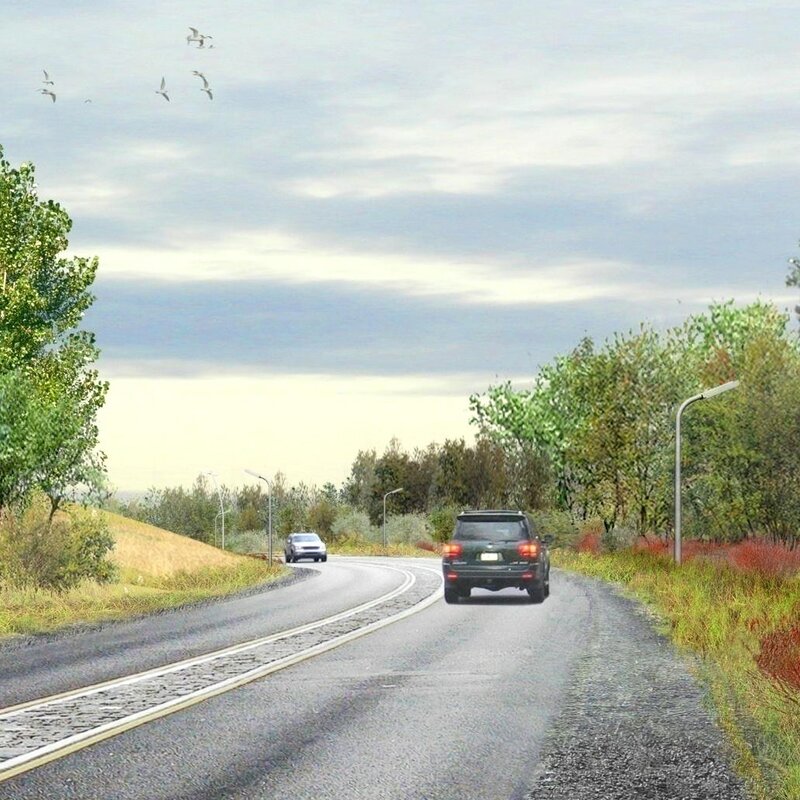 Opening the roads in Fresh Kills to motorists is vital for two important reasons: It would provide a much needed route to and from Richmond Avenue and the West Shore Expressway, reducing congestion on our local streets; and it will give Staten Islanders access to reach existing and future amenities in Fresh Kills Park. 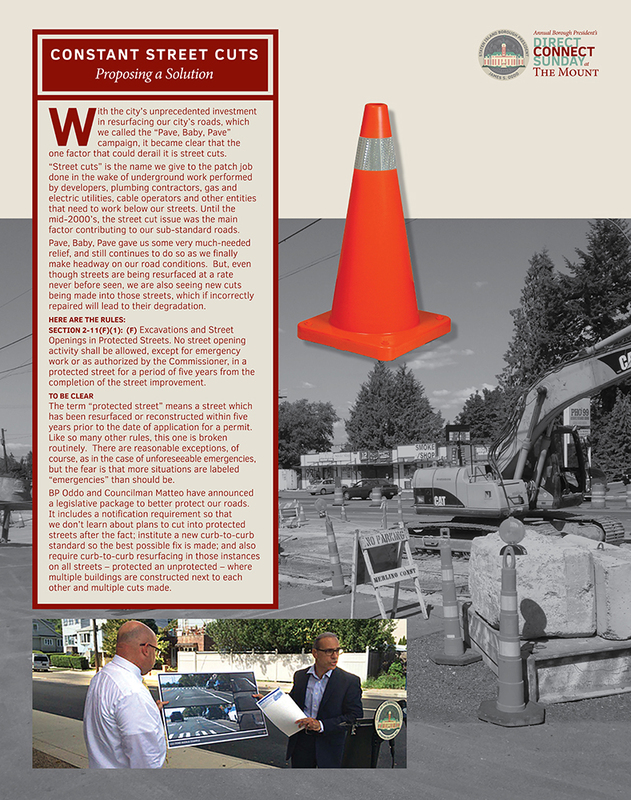 Borough President Oddo has reviewed a preliminary design prepared by the DDC and Parks Department, which demonstrates the road corridor can be engineered and implemented very effectively. A final design project is the next step and Borough President Oddo has asked for City Hall’s help to fund it. In mid-November, Borough President Oddo and colleagues in government, including officials from the city Department of Environmental Protection and city Department of Design and Construction announced the start of construction of the Mid-Island Bluebelt, a project he has been intimately involved with for a decade and a half. “About a decade and a half ago I stood on a street in Midland Beach with Civic Association president Yasmin Ammirato and representatives of DEP trying to address long standing flooding and ponding problems. Former DEP Deputy Commissioner Doug Greeley looked down the street and, thinking out loud, said ‘too bad I couldn’t run a pipe and take water straight into wetlands.’ I asked, ‘Why can’t you?’ We all looked at each other, and this moment formed the genesis of the Mid-Island Bluebelt. It’s been a long haul ever since with many Commissioners and Mayors who have come and gone, many meetings, rainstorms and much angst, but the start of construction on the New Creek phase means the Mid-Island Bluebelt is real and within reach. The proven success of the Bluebelts on the South Shore demonstrates that Bluebelts will help control flooding and restore our watershed in low-lying areas of our borough,” said the BP. East Shore communities have no storm sewers and as such, any rainfall is an anxious experience. Bluebelts are natural drainage areas, like streams, ponds and other wetlands that are preserved and enhanced to prevent flooding by conveying, storing and filtering storm water. The Bluebelt will utilize natural topography to redirect the water that would normally flood these homes and pond on the streets. The $22 million project is a joint venture between the federal government and the city. New Creek in Midland Beach will collect the stormwater from the yet-to-be-built wetlands. To do so, a new west branch of New Creek will be created to convey the water to the creek’s main channel. 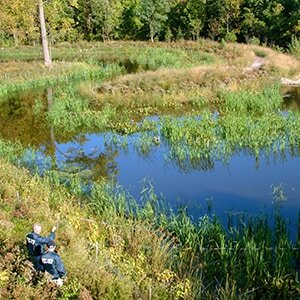 The stormwater goes into the wetlands, is stored for a while and is naturally filtered before it flows into New Creek, eventually emptying into lower New York Harbor. Landmark Colony has been a long time coming. “It took my entire tenure in the City Council, literally from March 1999 (a month after I first got elected) to 2013 to do it, but coming soon to these glorious buildings will be a senior housing project that will be worthy of this amazing site. Landmark Colony is going to be a great place to live and we will breathe life back into the truly amazing structures,” BP Oddo recently posted on Facebook. The site, adjacent to the Sea View campus on Brielle Avenue, is the former home of the old Staten Island Farm Colony where the impoverished lived and worked the land. A 344-unit senior housing complex is planned for the property, and the necessary Uniform Land Use Review Procedure (U.L.U.R.P.) process is now complete. The 344 units will be owner occupied and the project will include amenities, commercial and community facility uses, open space, and parking. It will also preserve and repurpose six structures – five to be restored and rehabilitated and one to be preserved as a stabilized preserved ruin. “The project will preserve an important part of Farm Colony history, while providing Staten Island seniors with an exciting housing option. 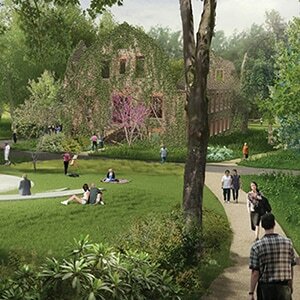 The Landmark Colony construction is slated to begin later this year. 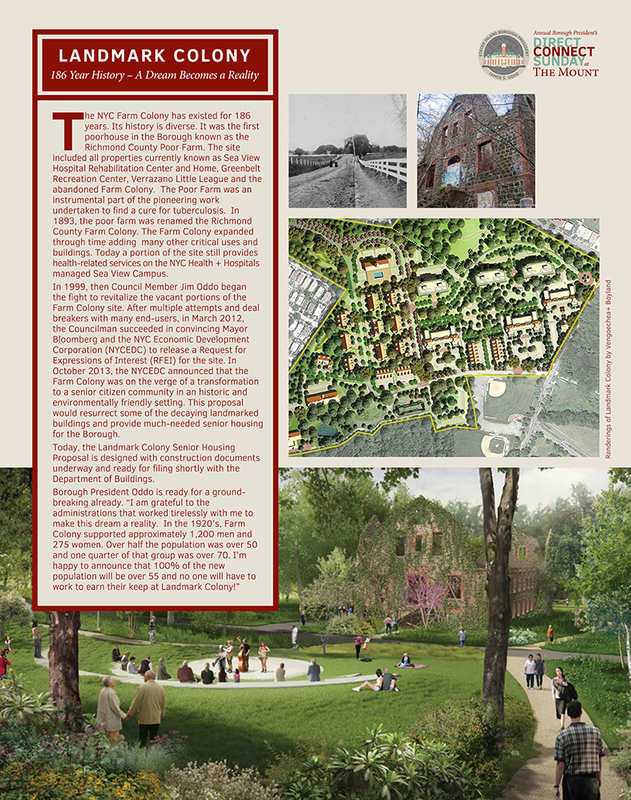 When complete, it will transform a campus that has sat fallow for decades into one that fills a much-needed service for an older generation of Staten Islanders.